Experience the horrors of war with your friends. The Battlefield series traditionally hasn't had much in the way of co-op gameplay, but that'll be changing next week with the introduction of the Combined Arms mode to Battlefield V.
The series' competitive multiplayer skews mostly towards the grandiose: huge maps, massive player counts (at least for online shooters), and a wide array of vehicular, aerial, and infantry combat. While the vast scope is largely what keeps Battlefield games distinct and popular, it can be difficult to transition into this expansive mindset for players who are largely used to more small-scale affairs. The Combined Arms mode was created to alleviate that issue, as it cuts the human player count down to four and charges the squad with surviving an AI assault in various co-op specific missions and modes. The maps available when the mode launches will be Market Sweep, Desert Declarations, Bricks and Mortars, and Bridgehead Blockade, each with their own unique objectives. While this addition certainly isn't as exciting as a full-blown co-op campaign, it should serve as a nice reprieve from the game's relentless competitive modes. Just note that the co-op is only supported in online play. 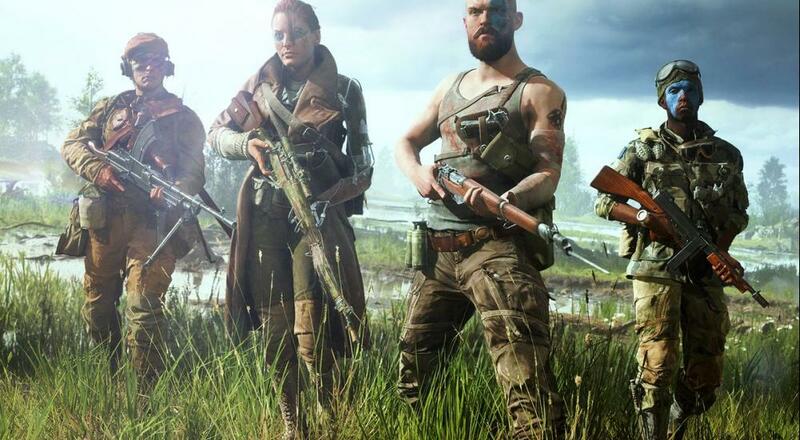 Battlefield V is currently available on Xbox One, PlayStation 4, and PC. Page created in 1.7448 seconds.